If you were living on the Hawaiian Islands back in the late 80’s or 90’s you would probably think by the title of this article the topic was about Kauai’s famous and powerful strain of “pakalolo“. But, no, this reference is to the community of Kauai’s progressive commitment to renewable energy resources through solar power and biomass-to-energy electric plants. But, more on that later…. I would surmise it is a safe bet that #1 on everyone’s list of things to do when they get to Hawai’i is to visit the beaches. I was scheduled to deliver Sean out to his Laird Hamilton “summer camp” on the North Shore by 5pm so we headed out to a couple of surf spots around Poipu. Nothing was really popping….I tried to swim out the 300 yards to capture some shots of Sean surfing some 2-4′ waves but the shallow rocks terminated that adventure. We then headed up the road a couple of miles to see the Spouting Horn. Cool, random display of spouting water with stereophonic horn-like noises. And, yes, many, many chickens looking to get fed by the tourists. categorized as an invasive species, it’s rapid growth rate has now propelled the development of albezia forests because the trees grow so fast which can then be converted to fuel. Thanks for including the link to the shop - the sounds are amazing! It truly was. The bowls can range in price from $1000 to $10,000....I found "my" bowl and it will run me about $1600 when I am ready. The CD was a good "bookmark" to play for now but the vibration resonance of the real bowls does not compare. Beautiful photos! Thanks for the fun travelogue. I hope to visit someday. I felt like I was there watching roosters, trying to find a food truck to eat from, and looking off off a cliff where people jump into the surf wetting my pants at the thought. Thanks for posting all this, it made for some great morning reading that I will daydream about today. Thanks for this wonderful travel log, Robert! I had no idea Hawaii had such a commitment to renewable energy. 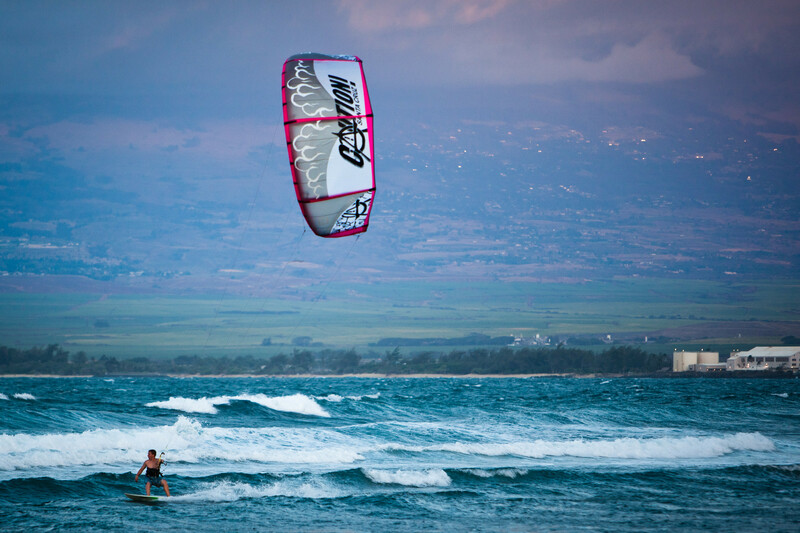 However, every time we've found the kitesurfing to be excellent because of steady winds, day and night. That's Wes representing our local kite manufacturer, Caution Kites of Santa Cruz, CA. Great pics Kevin...Mauai got snow on Sunday and Monday! I saw that. Crazy! It didn't just snow in Maui, but it snowed down so low that the state parks got dusted. Must have been an amazing day there.